Elizabeth’s background and passion has been that of an inspirational teacher in a successful career spanning three decades. She was awarded the Pan Canadian Student Choice Award for Excellence in Teaching. Her career has now moved from impacting students in a school setting to impacting individuals, teams and groups in corporations, schools, non-profits and life. Elizabeth is an avid runner and cyclist. Her favourite way to start a day is to take a run in the foothills of the Rockies as the sun rises. She competes in races ranging from 10 km to the marathon. To date, she has completed 10 marathons including 3 Boston Marathon finishes. 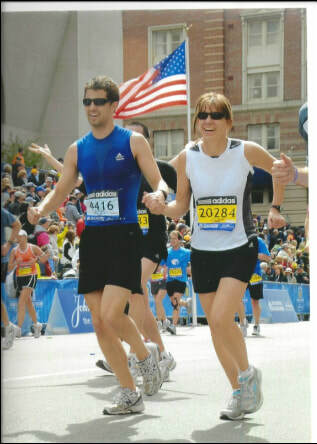 Her most recent trip to Boston included running the marathon with her son Greg. This had been a long time shared goal of theirs. Her recent foray into cycling has found her registered for the 2018 Sea-to-Sky Grand Fondo 125km bike race! In 2016 she joined the Chinook Country Dancers. 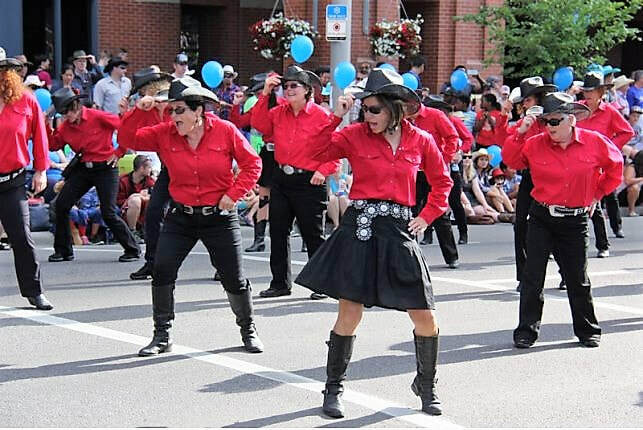 This group dances at many prominent Calgary events including Stampede Parade, Heritage Park Heritage Day, Canada Day celebrations, and at Seniors Centres. The fellowship and positive environment found with this group is cup-filling for Elizabeth! She and Jim love to travel. Favourite trips have been across Canada, to many places in the USA, to the UK and Australia to visit their daughter Kaitlyn, and to Kenya to visit the Building Hope Project. In 2017 she focused on one of the loves of her life, Canada, traveling to see the sights of the country she loves to call home! She treasures time spent with friends and she is always on the lookout for the perfect piece of chocolate!